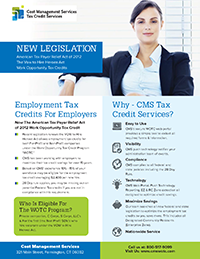 Learn how to take full advantage of your WOTC Tax Credits. Call CMS toll-free at 1-800-517-9099 or fill in the form below to speak to a WOTC expert. Enter your current number of employees and the number of new hires you expect to hire this year, then hit Calculate Savings. On average 15% of your new hires may be qualified for up to $2,400 worth of tax savings under the WOTC program guidelines. Cost Management Services has been working with employers for over 17 years to save money by taking advantage of the CMS Work Opportunity Tax Credit Program. 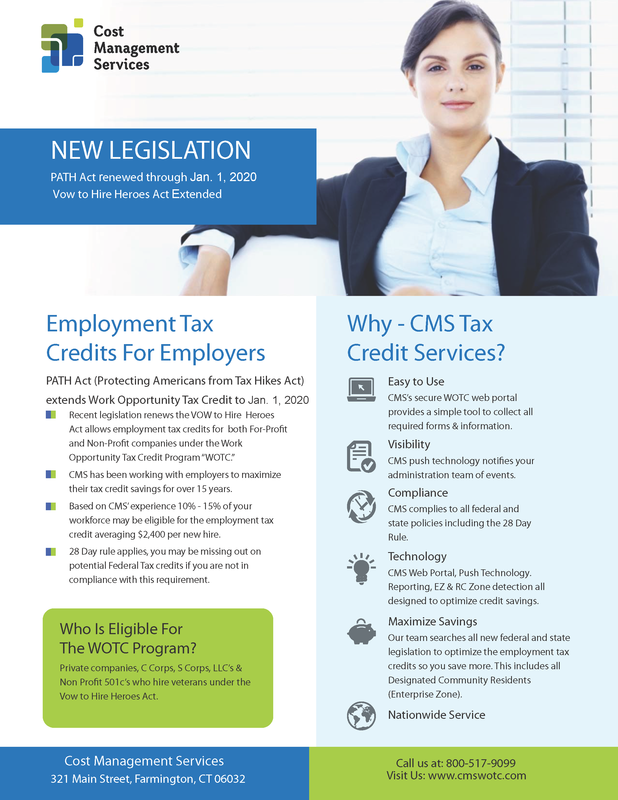 Based on CMS’ experience 15% of the workforce is eligible for the employment tax credits. Why aren’t you taking advantage? Call CMS today at 1-800-517-9099. 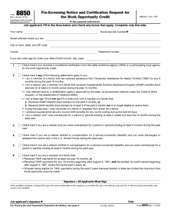 This entry was posted in home_content. Bookmark the permalink. ← Happy Thanksgiving from CMS!